Feel free to contact any member of the leadership team for questions regarding SSDM. Hi! 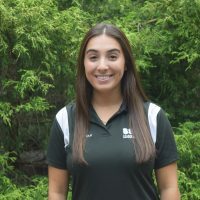 I am Ray Mele, a Senior at SHS, and this year I am proud to be the Overall Chairperson of the 2019 Steve Stefani Dance Marathon. I was introduced to SSDM when my brother was a part of the Leadership Team. I saw how much work he put into this organization and how it positively affected his life. When I got to high school, I started as a dancer, then a Finance Committee member in my sophomore year, and a Special Events Committee Captain last year. I am grateful that I have the opportunity to serve as this year’s Overall and I am excited to work with the Leadership Team to make this year one of the most successful ones yet. This is the last Steve Stefani Dance Marathon that will be held in the Springfield High School Blue Gym and I am hoping to make it an unforgettable night. I dance for my dad and FTK!! Hello! 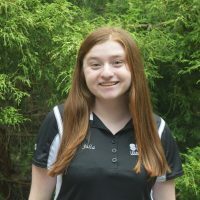 My name is Julia Dath and I am proud to be serving as the Communications Leader for the 2019 Steve Stefani Dance Marathon. My SSDM journey began as a dancer when I was a freshman. The past two years I have served on the Communications Committee as both a committee member and captain. Through this time, I have seen how we can lift up children and families impacted by Pediatric Cancer with our passion and support. This year, I am going to work on educating the community on why we dance and how our efforts really impact the lives of others. I cannot wait to spend 15 hours dancing to give hope to those who need it most. As always, I dance for more smiles. FTK! Hi everyone! I’m Sam Padilla and I’m proud to be your Decorations leader for the 2018-2019 Steve Stefani Dance Marathon. SSDM has always been a part of my high school career; I was a dancer freshman year and was immediately inspired. My sophomore year was my first experience in a committee for SSDM; I applied to be a committee member on Logistics. I fell in love with the committee and event, and became a captain for Logistics my junior year. Now that I’m a senior, I’m beyond excited to be the leader of this new committee. As someone who is deeply affected by cancer and its impact, I’m honored to be a part of an event as big as SSDM, and I can’t wait to see the big things we do this year. FTK! 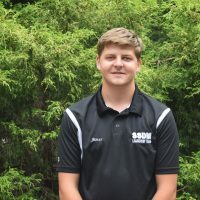 Hi, my name is Owen Hagarty, I am a senior at Springfield High School and proud to be the leader of this year’s Donor and Alumni Relations Committee (DAR). Along with SSDM, I am an Officer in FBLA, apart of the Boys Soccer Team, Winter and Spring Track Team, Community Service club and National Honors Society. I began my involvement with SSDM through being a dancer during Brunner Bash and my first two years at SHS. 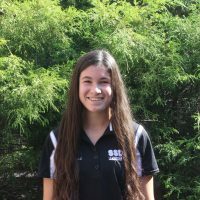 As a Junior I joined the Entertainment committee, and learned the importance and outreach a committee can have on the success of every years Dance Marathon. I wanted to pursue a new avenue through Donor and Alumni Relations in 2018-19, reach out more to the community and continue my sisters legacy who was the 2014-15 DAR Leader. I dance in honor of my grandmother and Uncle Mike who lost their battle against cancer. I am beyond excited for this years 2018-2019 Steve Stefani Dance Marathon and pursuing further involvement in the fight against Pediatric cancer. FTK! Hi, my name is Christopher Walters and I am a senior here at SHS. I am honored and thrilled to be serving as the Entertainment Leader for the 2019 Steve Stefani Dance Marathon. 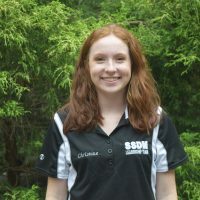 I started my SSDM journey by joining as a dancer my freshmen year, then became apart of the Entertainment committee for the following two years. 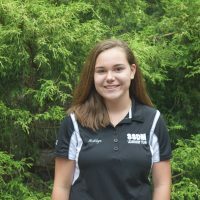 In addition to SSDM, I am on the varsity soccer, swimming, and track & field teams, I am a member of the Community Service Club, and the National Honors Society. I am ready to help make SSDM the most successful and entertaining it has ever been, while still remembering why we dance: FTK!! Hi all! 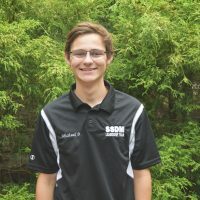 My name is James Barbier and I am proud to be the 2019 SSDM Finance Leader! I’ve had the pleasure of serving on this committee since Sophomore year and last year I was a captain. I play varsity soccer and tennis, stage manage the STW productions, am a member of the HI-Q team as well as the Treasurer of NHS this year. Cancer is something that has affected all of us in some way, shape, or form. Whether it be a relative or friend, everybody is connected to someone who has been diagnosed with this horrible disease. My goal is to raise money and awareness in hopes to find a cure and I dance for those who can’t. Please don’t hesitate to reach out to me with any questions regarding donor drive or donations. FTK! Hello, my name is Casey Ellis! I am a senior and the leader of the Fundraising Committee this year. In 7th grade I went to SSDM to watch family hour and ever since then it was a dream of mine to become a leader. I started as a dancer freshman year, since then I have served as a committee member and a captain on the fundraising committee. I am also on the cheerleading team at SHS. I am so excited to make this SSDM the best one yet. I dance 15 hours for my mom and FTK!! 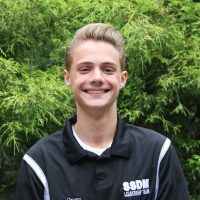 Hi, I’m Michael Fadgen, a senior at SHS, and this year I am the leader of the Hospitality Committee for the Steve Stefani Dance Marathon. 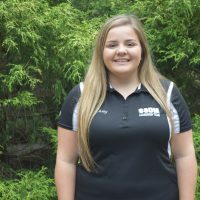 I have been involved with SSDM since my freshman year, and I was a member of the Fundraising Committee for my sophomore and junior years. 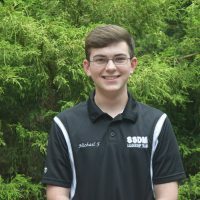 I am excited to take on my new role as the Hospitality Leader for SSDM 2019. Ever since my first SSDM in 2016, I knew that I wanted to be more involved with this organization. Seeing hundreds of high school students come together to raise almost $250,000 for Four Diamonds inspired me to work my absolute hardest to grow my role in this organization. Alongside SSDM, I am involved with SHS’s chapter of the Future Business Leaders of America. In FBLA, I served as an Officer for my junior year, now serving as the Treasurer for my senior year. I am so excited to discover what this Leadership Team can accomplish this year, and I can’t wait to dance 15 hours FTK! 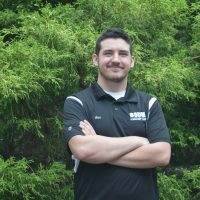 Hi, My name is Ben Wassell, I am a senior this year and the leader of the Marketing Committee, a new committee this year. I am dedicated to Steve Stefani Dance Marathon as I have participated in it for the past 4 years. My first experience with this cause was at my middle school Benchmark, where I participated in the first ever Benchmark-Thon. From that point on I would go from a dancer with pain in my feet, a Technology Committee member running around in lederhosen, to a Technology Captain helping with broadcast equipment on the day of. This year, I am excited to establish a foundation for a new committee. I’m not backing down because everything we do is FTK! 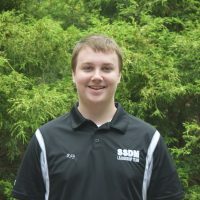 Hello, my name is Michael Breslin and I have the privilege of serving as the Merchandising Leader for the 2019 Steve Stefani Dance Marathon. 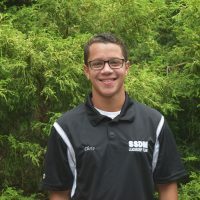 I am currently in my senior year at Springfield High School and have been participating in SSDM since I was a freshman. In the past, I have served as a dancer and a committee member. Over the years, I’ve witnessed the impact of an event of this magnitude and I realized that I wanted to play a larger role. Steve Stefani Dance Marathon has become a tradition that brings my family together to show support for the families going through pediatric cancer. Getting the chance to be a bigger part of this life altering organization is amazing and I can’t wait to help make this the best year yet! I hope to make this years merchandise one to remember! So swing by the Merch table on the night of and pick up some SSDM swag.Remember it’s all For The Kids! Hi! 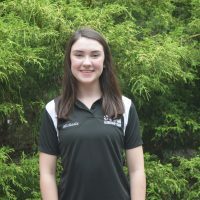 My name is Emma O’Connor and I am so excited to be the Operations Leader for this year’s Steve Stefani Dance Marathon! I have been involved with SSDM since I joined as a dancer in 9th grade. Sophomore year, I joined the Operations Committee and have been apart of it ever since. I was chosen to be a captain my junior year and now as a leader for my senior year! SSDM is such an amazing event to be apart of because of how it unites the community to raise awareness for pediatric cancer. This horrible disease affects many lives, including those in our own community, which is why we dance for 15 hours to find a cure. 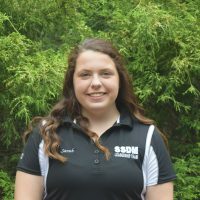 I am honored to be a leader for the 2019 SSDM and I can’t wait to see what this year will bring! FTK! 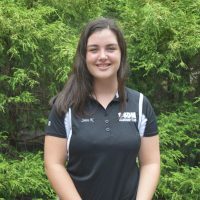 Hi my name is Ashlyn Stienstra and I am so excited to be the 2019 SSDM Rules and Regulations Committee leader! I have been involved in the Steve Stefani Dance Marathon ever since my freshman year and it has always been a personal goal of mine to one day lead a committee and be more involved. I originally was a part of the Brunner Bash Leadership team in middle school and seeing the SSDM leadership team having fun with each other and interact with us about what they do is what really motivated me to become more involved in Four Diamonds and SSDM. I have been on the Rules and Regulations Committee starting as a member sophomore year, a captain last year, and finally a leader this year. I am so excited to work with my team and raise money and awareness for the fight against childhood cancer. We dance FTK! Hi! My name is Michaela Henry and I am so excited to serve as the Social Media Relations Leader for a second year. I am so lucky to have been involved in Steve Stefani Dance Marathon over the past three years in high school, and participating in Brunner Bash in middle school. Serving on leadership last year was the hardest and most rewarding experience I could ever ask for. I am still so amazed that close to 600 high schoolers are able to make this event a reality and stand for 15 hours year after year. I distinctly remember listening to my first family hour in 8th grade. Hearing every family’s battle with pediatric cancer made me so passionate about joining the fight and helping to raise money in any way I could. I have always looked up to the members of the SSDM leadership team and I am still in shock that I get to be a part of it. I cannot wait to dance 15 hours all FTK! Hello! 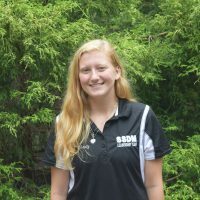 My name is Lizzy Lynch, I’m a junior and proud to be SSDM’s Special Events leader. As a sophomore I was a committee member, and I was lucky enough to jump up to leader this year. I decided to join Special Events because I thought it would be a lot of fun to be behind every major fundraiser we do for SSDM. I’m really passionate about what I do here because of the people I dance for. I am passionate about other things in my life, too. 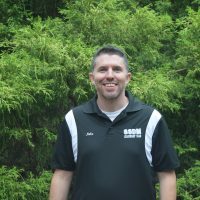 I run cross country and track, and I am also the Community Service Coordinator on Student Council. I love giving back to the community and SSDM is just another way I can do that. I am so excited to make this a huge part of my life and I’m looking forward to seeing what this year brings. I’m so thankful for this team! I dance for my Nana, Mikey Komar, and for more birthdays. FTK! Hey guys! 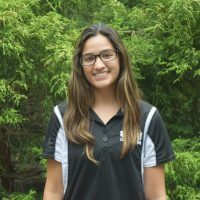 I am Sarah Chambers, the Student Engagement Leader for the 2019 Steve Stefani Dance Marathon. As Student Engagement Leader, I will be around to make sure everyone gets involved with SSDM and remind them why they are doing what they are doing. I am always here for questions about signing up and to help people find easy ways to get involved with SSDM. I have been involved in SSDM for the past 3 years, serving as a dancer my freshman year, on the Dancer Relations committee my sophomore year, and as a captain for the Dancer Relations committee last year. I have always been passionate about SSDM and one of my biggest dreams since middle school was to become a leader. I am ecstatic to be play a part in this amazing event. Outside of the Dance Marathon, I am a varsity cheerleader, I play the viola in our school’s orchestra, and I work at Giant. Some day, we will find a cure, but until then we dance! Can’t wait to see you at SSDM!